A shocking video of an abandoned newborn baby being rescued has gone viral online recently. 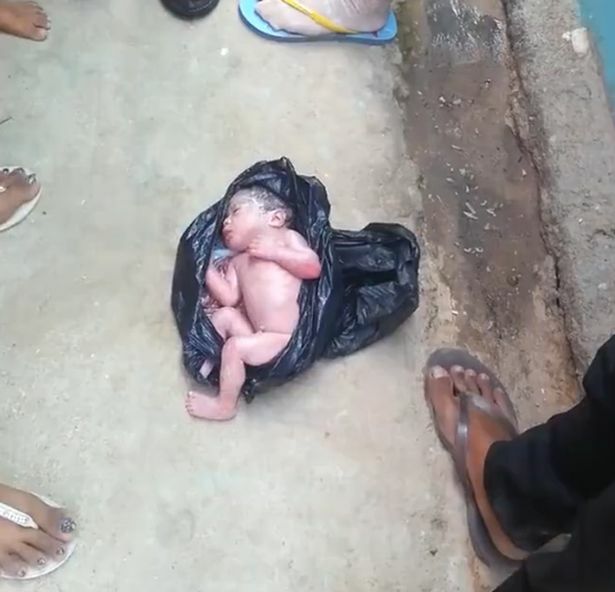 Locals found the newborn inside a discarded black bin lying on the side of the road and were surprised that the baby is alive as it spreads out its arms. 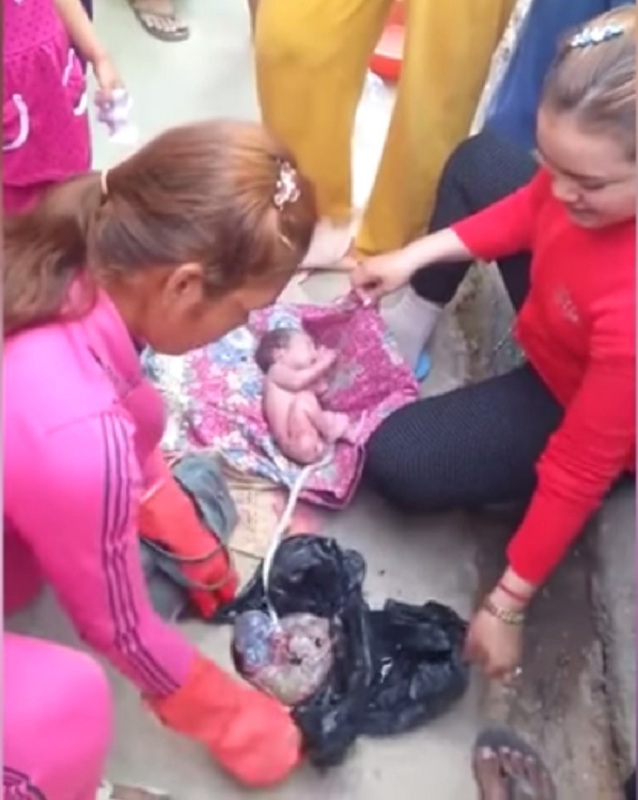 The clip shows passers-by desperately trying to save the baby with its umbilical cord still attached. A woman in pink tracksuit puts on protective gloves before delicately moving the infant onto a clean blanket. Other good Samaritans also prepared more fabrics while the woman in pink gently tries to maneuver the newborn. After the baby was transferred, the mother’s placenta is revealed and the good lady carefully placed it in a piece of plastic. The video is believed to have been filmed in the Philippines; however, based on the dialect and one of the comments, the video happened in Phnom Penh City, Cambodia years ago. Amazingly, the abandoned newborn survived its traumatic welcoming into this world. Watch the dramatic rescue below. No matter what the reasons are, aborting or deserting your own child is disgraceful and unforgivable. Every child has their right to live! STOP Eating This Every Day! This Can Kill You !! !